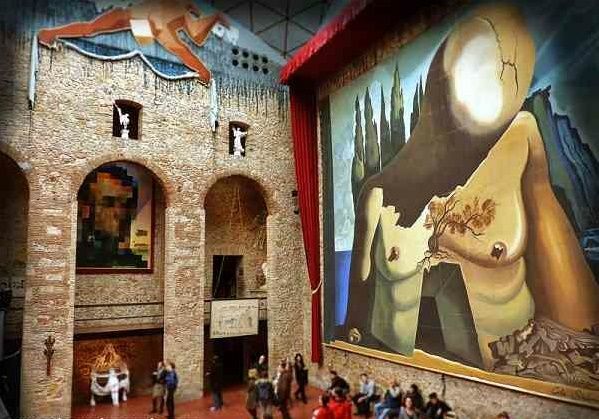 The Dalí Theater Museum is the most important museum dedicated to the catalan surrealist artist Salvador Dalí. Located in his hometown of Figueres, it’s one of the most popular day trips from Barcelona. Immerse yourself in the unique universe of Dalí visiting this one-of-a-kind exhibition. The resulting work is far from what you’d get at a conventional museum. Every room has a very distinct personality. There is everything from paintings, drawings and sculpture to photographs, engravings and holograms. There are very interesting artistic installations, such as the Wind Palace Room, the Rainy Cadillac and the Mae West Room. A considerable part of Dalí’s legacy was distributed between this museum and the Reina Sofía in Madrid, so if you’re looking for some of his best paintings, you won’t be dissappointed. Dalí’s crypt lies in one of the lower levels of the museum and can also be visited. Salvador Dalí is a very important figure in the artistic scenario of Catalonia, and one the most universal Spanish artists. He was pivotal in the development of surrealism and his legacy has traspassed generations. Much of his work might be scattered around the globe, but Catalonia is the only place where you can witness the places he lived and worked. 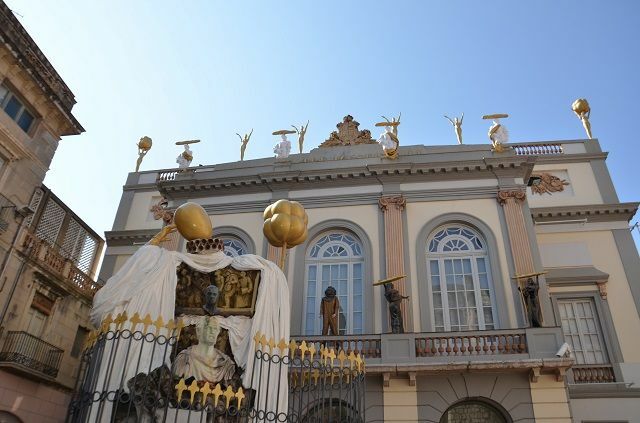 Enjoy a day trip to Figueres and the Dalí Theater Museum in a full day guided tour with transport from Barcelona. It also includes a guided tour through the streets of Girona. This medieval city is famous for being a filming location of the hit show Game of Thrones.